Fibaro's $60 water leak sensor has some neat bells and whistles for those with the right know-how. If you want a water leak sensor that tries to do it all, the Fibaro Flood Sensor might be for you. The $60 sensor works with any Z-Wave hub, and has a bunch of capabilities you won’t find from the competition. On the downside, it’s pricey for a hub-based sensor and requires expertise to tap its most interesting features. Fibaro’s sensor uses the Z-Wave protocol to communicate with a hub device, which then uses Wi-Fi to talk to your smartphone. 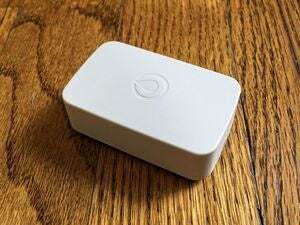 Using a SmartThings hub ($100), the pairing process was pretty simple: Just triple-tap a button inside the sensor to set it to pairing mode, then use the SmartThings app to look for new devices. The hub automatically recognizes the name and type of device, and will begin alerting you to leaks via push notifications. For power, the Fibaro Flood Sensor uses a single CR123A battery, with an advertised lifespan of 2.5 years. it also supports outlet power, but in a rather complicated way: Instead of offering a simple adapter plug, Fibaro requires you to crack open the device and wire up a 12/24V DC power supply. Speaking of wiring, Fibaro offers a couple other novel features if you have the right know-how: There’s an input for additional sensor wires, so you can snake them under a washing machine or around a water heater. 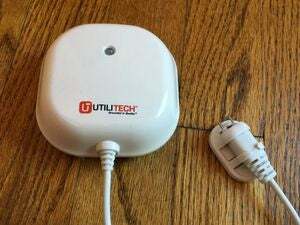 An NC output terminal is also available, allowing users to hook the sensor directly into a home alarm system. Unfortunately, Fibaro provides practically no guidance on the types of wires you need or how to set them up. Fibaro’s sensor supports outlet power, alarm system hookup, and extended sensor wires, but you’re on your own for buying the right parts and wiring them up. The Fibaro sensor detects flooding with a trio of gold telescopic probes, and has its own alarm inside, albeit a quiet one at around 71 decibels. Beyond just reporting moisture and temperature, Fibaro also includes a tilt sensor, which can tell you when the device has been moved or tampered with. As for integrations, Fibaro works with Z-Wave hubs such as SmartThings and Wink, allowing it to automate lights, cameras, shutoff valves, and other devices when it detects a leak. 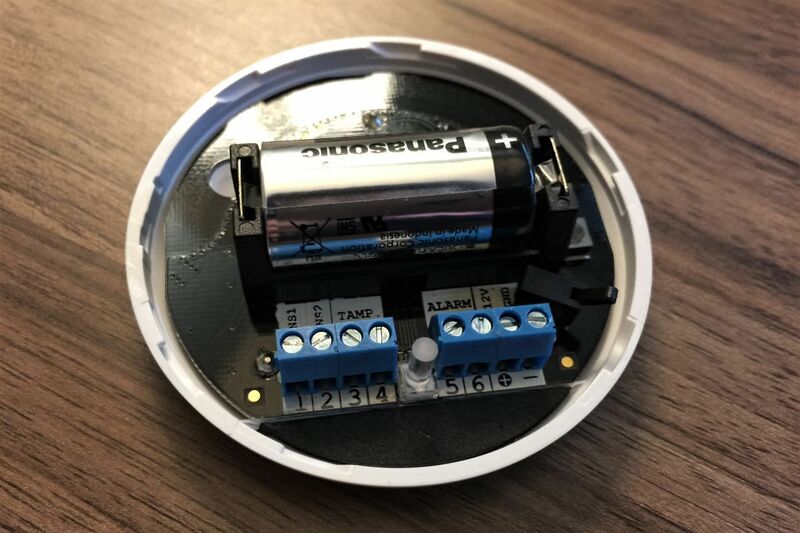 Fibaro also sells its own hub, and claims the sensor can be installed underneath heated flooring to help keep a steady temperature, though we haven’t tested this. 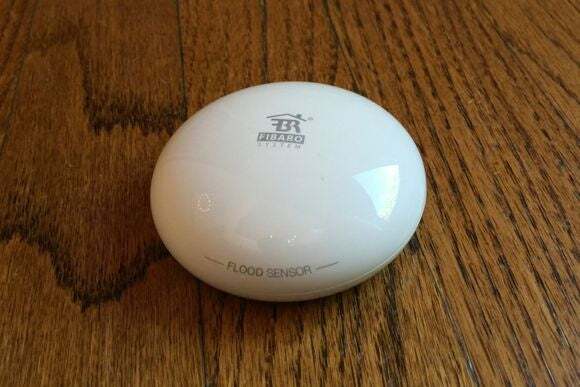 For basic leak detection, Fibaro’s Flood Sensor is probably overkill. Other hub-based sensors are cheaper, and standalone Wi-Fi sensors are simpler. Handy homeowners, however, may find that Fibaro’s bells and whistles are worth paying for. This powerful sensor has some great bells and whistles if you know how to take advantage of them.